Remember sliding down the slide at the playground when you were a child, and the exhilaration you'd feel with the odd sensation of letting gravity carry you? Time for a major adult upgrade, where this time, the city of Los Angeles is your playground. The West Coast's tallest building, which scales a solid 72 stories overlooking Los Angeles, is about to get a major architectural upgrade—one that we sure hope doesn't crack. 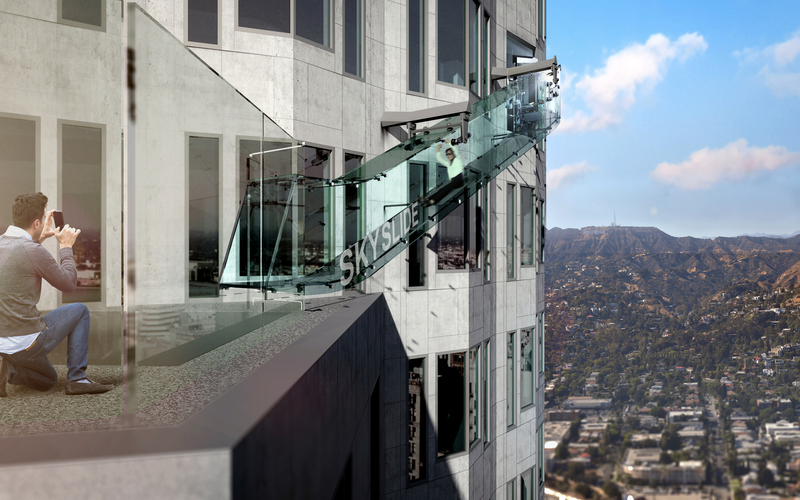 A 45-foot-long glass slide is being built on top of Los Angeles' U.S. Bank Tower. 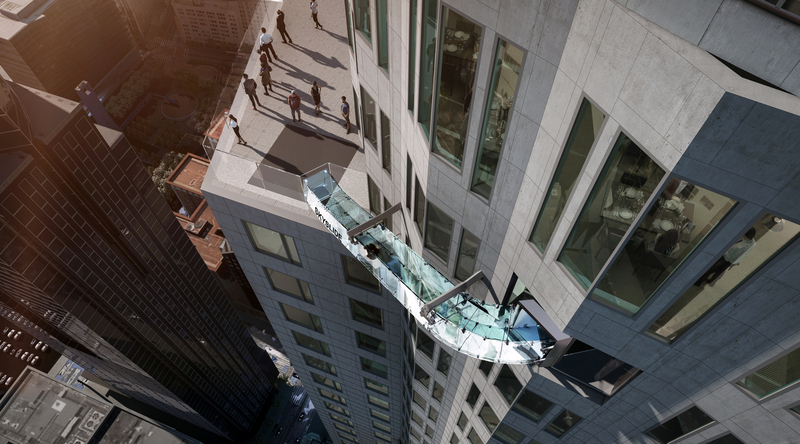 The slide will go from the 70th to the 69th floors and is estimated to sit a mere 1,000 feet above ground. 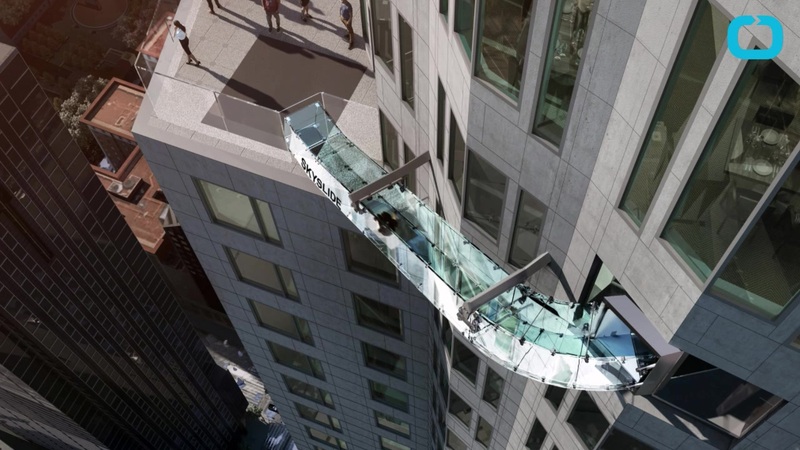 The project, called Skyslide, is part of a $50M renovation to the building that's set to also include a bar and observation deck located on the top stories of the building. Visitors will be able to ride the slide for $8, starting June 2016.